People love food. They want it hot, fast, and cheap. These days, restaurants are making the bold move of putting technology at the forefront of their services and offerings with the sole aim of meeting the needs of young and hip consumers. The new generation of diners and customers want more than just be wowed by great food, they want the best customer experience to accompany it. Nowadays, that means involving technology in the ordering and food delivery processes. After their recent foray in the grocery world with their acquisition of Whole Foods, online retail giant Amazon.com wants to break into the restaurant delivery scene. The $13.7 billion investment has proven to be successful, so the next venture is a tie-up with New York-based online ordering company Olo. Olo’s very own Danny Meyer also opened a pizza place called Martina in New York City. Like most modern coffee shops, the diner orders and pays at the cashier and receives a buzzer which alerts them once their orders are finished. 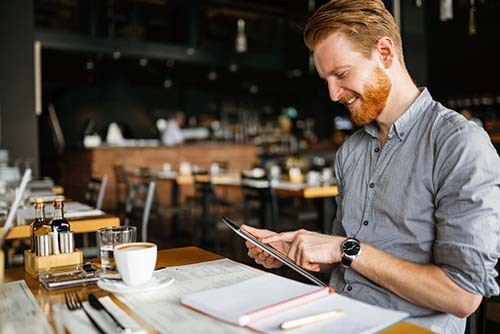 Olo offers a software-as-as service (SaaS) digital ordering engine that is ideal for restaurants with 40 or more branches. One of the company’s main investors is Shake Shack Inc. founder Danny Meyer. The firm specializes in digital order and pay services to over 200 restaurants, including Applebee’s, Shake Shack, and Chipotle. This collaboration is extremely beneficial to Amazon’s data mining project, where it collects shopper’s data and preferences from actual brick-and-mortar establishments. 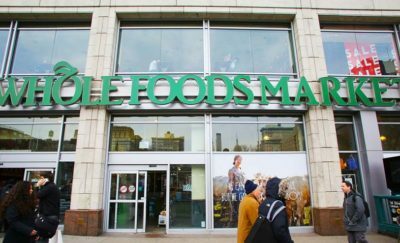 It can be recalled that the Whole Foods purchase was meant to analyze consumer data from actual shoppers. Their next venture will allow them to collect additional data on shopper preferences from the restaurant market. Reports say that the US food market, worth a massive $1.5 trillion, is divided between groceries and restaurants. Now that they have Whole Foods, Amazon’s entry into the restaurant industry is only logical for them to have a complete picture of how American consumers think and behave. While Olo takes care of technology implementation in publishing menus, taking orders, and collecting payments, Amazon is responsible for deliveries. Business Insider reports that Olo’s integration with Amazon will help its customers list menus and manage orders in multiple places. 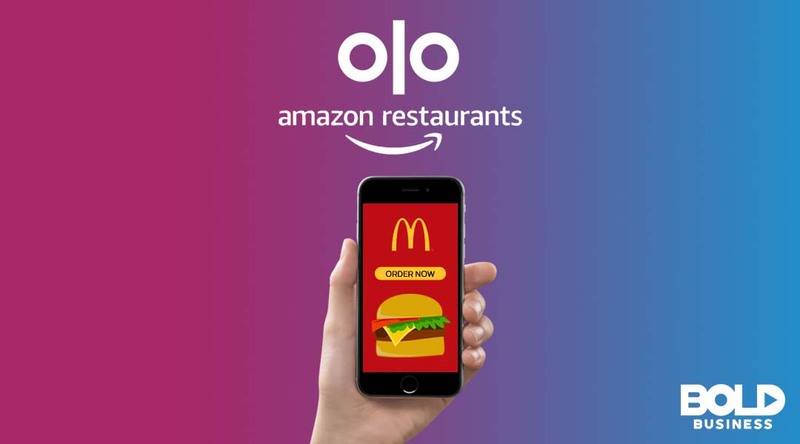 To prepare for the partnership, Olo launched a new product called Rails, which will make it easier for restaurants to accept delivery orders from Amazon as well as other third-party clients. This takes care of ease of ordering and efficient delivery, but there’s another aspect of the dining experience that should be met. To keep things interesting, restaurants also have to deal with the need to have a social media presence. It’s quite common for diners to snap pictures of their food and then upload it to various social media sites before they eat. Instead of just focusing on deliveries, some restaurants are setting up small and casual “pop up stores” to complete the experience for this niche. Chef David Chang, a bold innovator in the food scene, recently opened a “fast-casual” store near Union Square in New York City called Ando. This restaurant used to be just a virtual restaurant solely concentrated on food delivery. However, because diners need to be somewhere and post photos of themselves and their food on Instagram, the restaurant became an actual store – complete with breakfast and an ever-expanding menu. The delivery service is still very much alive, albeit with a small fee. Olo’s very own Danny Meyer also opened a pizza place called Martina in New York City. Like most modern coffee shops, the diner orders and pays at the cashier and receives a buzzer which alerts them once their orders are finished. For to-go orders, the place has a specially designed vent that lets out steam while keeping the pies hot. 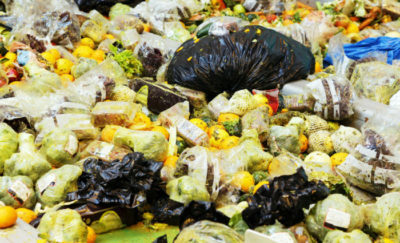 With so much disposable income spent on food, restaurant and food establishment owners have to follow trends and preferences to continue being successful. Fortunately, technology is there to help them adapt.